Golden Triangle tour is one of the prime reasons that attracts tourists to the land of India. Mainly because the tour lets them explore the culture of Delhi, the marvels of Taj Mahal and the wonders of Jaipur. The same holds true with this Golden Triangle Trip from Mumbai. In this, you will first see the prominent attractions of Delhi such as India Gate, Humayun’s Tomb, Lotus Temple and Qutub Minar. The next attraction will be Taj Mahal and Agra Fort in the city of Taj. Post that, Amber Fort, Hawa Mahal and the City Palace will be covered. Also on your way to Jaipur, get the chance to explore Fathepur Sikiri. Unravel the culture, lifestyle, food and other happenings of Delhi. 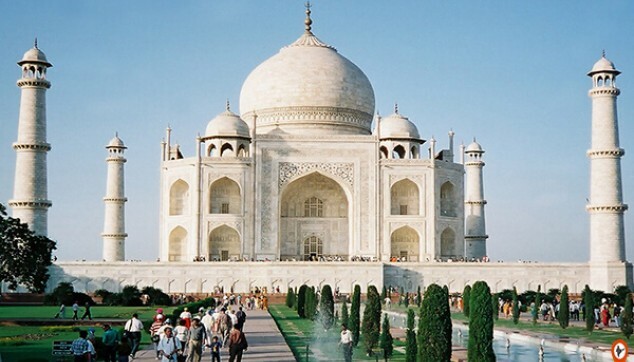 Explore Taj Mahal, the iconic structure in the city of Taj. Have some fun time at Hawa Mahal and City Palace. A Government approved guide will assist you in each city. Golden Triangle Tour from Mumbai will start between 7 to 9 am. You will be received from Mumbai’s hotel. From here, you will be driven to the airport where you will board a flight to Delhi. On reaching Delhi, meet our representative at the airport. From here, you will be transferred to the hotel. 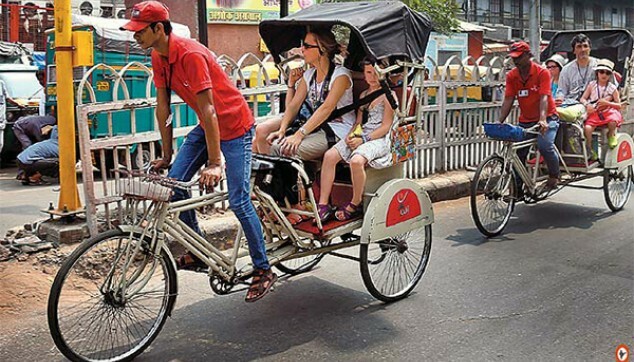 In the afternoon, explore the madness of Delhi for which India is known for. The different faces of the city have inspired many writers to write a book. One such is Mayank Austen Soofi, the author of Delhi Walla. On the tour, you get the real chance to observe the happenings of the city. Create your own perceptions about the city’s culture, people, lifestyle and food. The tour will take you to India Gate, built to show deep respect for the soldiers who lost their lives while fighting for the country in World War-1. Also, visit the Government Buildings, Humayun’s Tomb, Lotus Temple and Qutub Minar. This will enlighten you about the happenings of the city. Enjoy an overnight stay in Delhi. Post breakfast at the hotel, drive to the city of Taj. On reaching Agra, check in at the hotel. Post that, head towards the iconic structure of the city. Appreciate the architectural beauty of the most talked about Taj Mahal from your real eyes. Grab a beautiful pic of yours while sitting on the Elizabeth seat. Take this back home and pin this on your picture wall as a token of a wonderful memory. Post this, see another marvel of Mughal architecture which is the Agra Fort. In the evening, go for shopping. Enjoy an overnight stay at the hotel. After a warm breakfast, drive to Jaipur. On your route, visit Fathepur Sikri. Check in at the hotel in Jaipur. Spend the evening as per your leisure. Enjoy an overnight stay at the hotel in Jaipur. Post breakfast at the hotel, head for an excursion trip to Amber Fort. Along with the grand views of the Fort enjoy a fun-filled ride taking you to the Fort. In the afternoon, cover the three marvels of Jaipur city mainly Hawa Mahal, City Palace and Jantar Mantar. In the evening head to enjoy the pleasures of shopping. After a long day of travelling, enjoy an overnight stay at your hotel in Jaipur. With this the Golden Triangle Tour from Mumbai comes to an end. Have a warm breakfast at the hotel. Post breakfast, bid goodbye to the city. 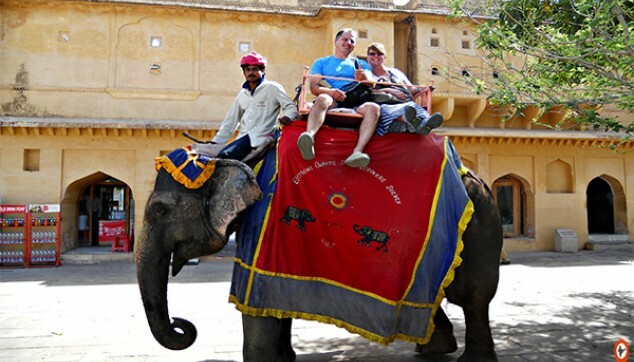 You will be driven to Jaipur’s airport for your onward flight. Note: If your departure flight is from Delhi, then we can arrange your transfer to the Delhi airport without extra cost. Please note that the time taken to reach Delhi from Jaipur will be of around 5 hours. *In case if there are any infants traveling with you, there will be infant charges applicable in domestic flights which will be charged additionally. Lotus Temple in Delhi remains closed on Mondays. Taj Mahal in Agra remains closed on Fridays. 45 days prior commencement of tour, No cancellation charges. 44-30 day’s prior commencement of tour, 25% of travel cost. 29-15 days prior commencement of tour, 50% of travel cost. Less than 15 day’s prior commencement of tour, No Refund. Note: In case if there are any infants traveling with you, there will be infant charges applicable in domestic flights which will be charged additionally.